Seals standard doorways up to 3’ x 7’. Made from 4 mil plastic sheeting. Includes two pre-installed zippers. 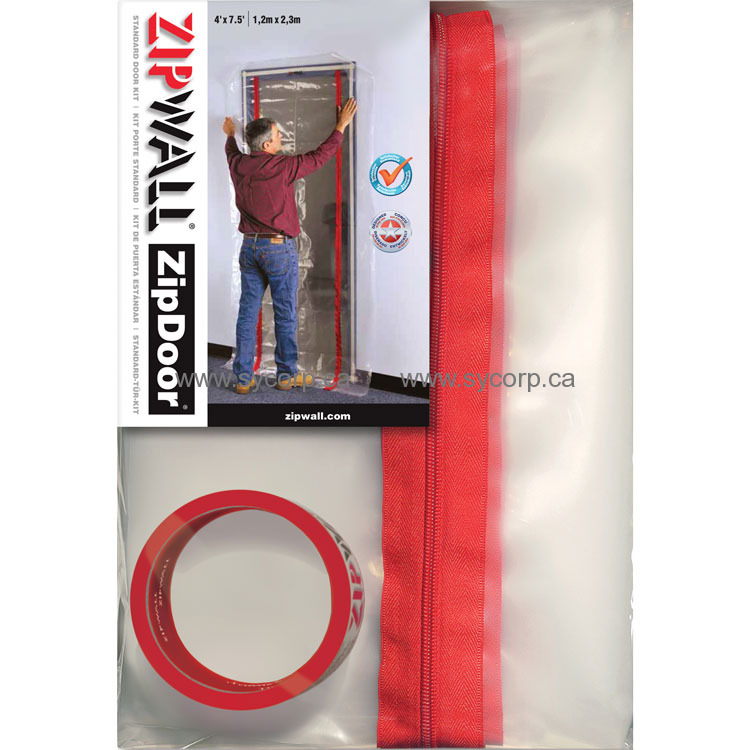 ZipDoor® Kit contains one reusable ZipDoor®, two flap hooks, and one roll of 1’ x 18’ ZipWall® Tape, enough for one installation.